Make a Thanksgiving keepsake for the child that truly embodies the spirit of thankfulness. You can purchase a small scrapbook or use paper from home to make this a really simple project. The easiest way to make it is by printing out pages from enchanted learning, click here to visit that site. 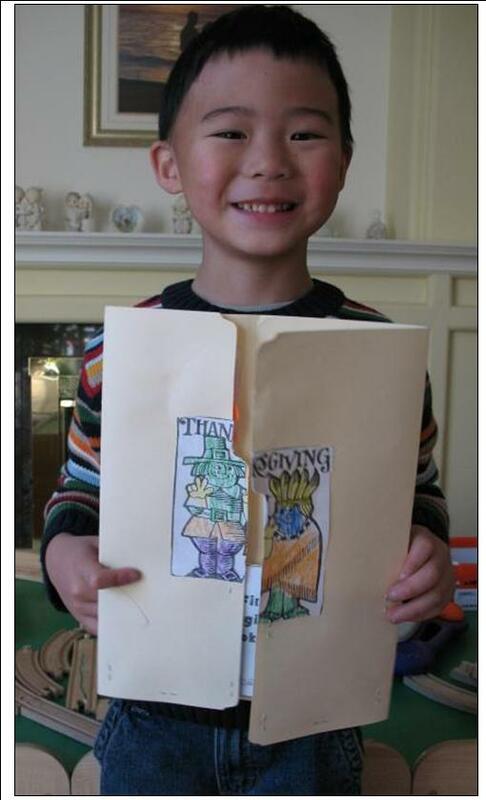 One page reads, “I am thankful for my family,” then have the child draw a picture of his family. On the next page it reads, “I am thankful for my friends,” then have the child draw a picture of her friends. You can even take this further by having them draw pictures of what they are thankful for. 1. Print out a holiday picture and let the child color it. 2. On the sheets of paper, ask the child what they are thankful for like listed above. 3. Write down each thing they are thankful for on a separate piece of paper. 4. Assemble all the sheets with the holiday picture on top and staple it along the side like a book. There are so many variations of how you can do this book and make it a meaningful activity for the child. What do you do with your charge’s to help prepare for Thanksgiving?